The ‘Sapphire’ women’s business network has been launched to deliver much more than your standard business networking group for women in Hertfordshire. As well as providing a supportive and learning environment for local women in business to make new connections, members are given 2.5 hours of individual business coaching from Wenta as well as access to Wenta’s award-winning training courses and online business advice. 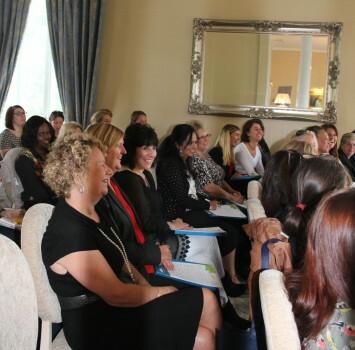 The launch of ‘Sapphire’ – a new women’s business network run by local enterprise agency, Wenta, took place last Thursday 1st October at the prestigious, Champneys Tring. 38 local women in business attended the launch for the unveiling of the new networking group and to find out more about the membership benefits. Attendees heard from guest speakers, Helen King – Director of vehicle leasing company Autorama, and Aaron Phillips – owner of the rapidly growing fitness company, FitStart UK. The launch saw women in business from a wide-variety of industries and sectors, from photographers to property developers, with all having a great opportunity to network with each other and Wenta’s business support staff. It was great to see so many women at the Sapphire launch. We know there is a real demand for business support, networking and training for women in business. We’ve listened to what women want in a networking group and developed Sapphire as a result of this research. Ultimately, we hope to build women’s knowledge, help with growth and lead to business success. The first Sapphire women’s networking event will be held on Thursday 5th November (9.30am – 11.30am) at Champneys Tring, Chesham Road, Wigginton, Hertfordshire, HP23 6HX. If you’re a woman that’s starting up a business or already in business –please book in advance, the cost is £20 to attend the networking group, or visit www.wenta.co.uk/sapphire-business-networking to find out more about signing up as a member. As a Sapphire member, you will receive all membership benefits and support as well as a discount on the networking group going forward. Call 01923 691 364 or email to register your interest training@wenta.co.uk. Is A Company Car A Good Idea For Your Business?